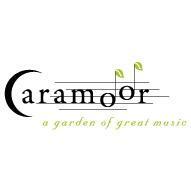 For 17 consecutive years, the Caramoor International Jazz Festival has hosted one of the most pristine environments in the world for playing and listening to jazz in the United States. Now get a taste of the fuller musical menu up close and personal at New York Public Radio’s acoustically brilliant, multiplatform lab of experimentation and innovation—The Greene Space—with WQXR’s Terrance McKnight. Listen to the concert below.